Trailer 3 of the modified After World 8 hack. I uploaded it on my other account because of copyright reasons from the Japanese horror movie Kairo. Last view: 2281 days I decided to do a final mockup with a new cursor. I hope you guys like what I'm planning and that I can actually make it happen. Last view: 932 days Is this based on the US version, or the Famicom version? Oh...I'd really love to hear new VRC6 musiv in this then! 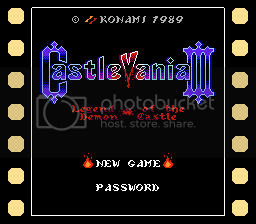 Last view: 2281 days It's a new title for the Akumajou Densetsu translation, so it's got all the VRC6 goodness. Last view: 317 days I just made two videos of a playthrough of two levels from Maverick Revenge 2. Just wanted to show this in case anyone who's interested has missed this hack. =) Sorry, it's still not completely finnished. And it should be applied to a Mega Man 5 rom. You can finnish the game, at least as far as I know up until the last Wily Battle. Two of the eight robotmaster levels are not complete, it's charge man and star man. Thats why they are so short. You can also collect all MEGAMANV letters. After the last Proto Man stage(wich isnt finnished neither) you will get a delay before the game continues on. Iam no good at asm, hence why this will probably never be more finnished, sadly. See video description if you are curious. This video and demo release of the game! Download is in this YouTube video or go to Board 2 Uploader. I tried out the demo, huh. Yes, the Disappearing Block bug is a bit annoying, huh. 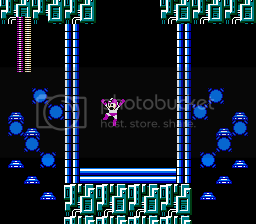 And I see, Cut Man's stage is Wily's First Level itself! I liked the idea! 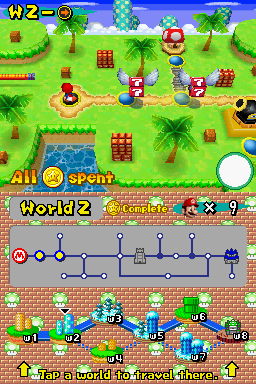 Last view: 672 days This is my smw hack, yes I know its not the prettiest thing you've saw in awhile. I'm releasing the demo on monday morning, enjoy the clip. The game originally used static text rendering, so I had to change the text rendering routine to a dynamic one. Also, I found a way to fit a full English font into the limited VRAM space as you can see. Figured out I will share this pic with you guys. 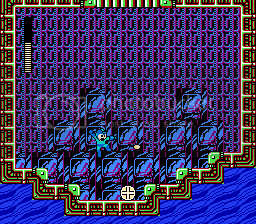 Bombman's stage of Rockman Alter Force. I may use the same enemies as the original game since it fits and the scrolls but changed to down in the first area. 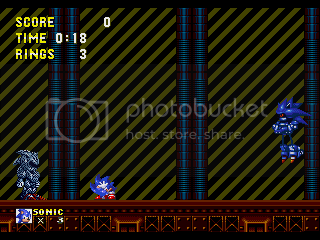 NOTE: The second screenshot, I already fix the screen in the actual rom. Demo Gameplay made and uploaded by Insectduel. Rockman Claw is the best Rockman 1 hack ever. The author made this awesome fangame is Tsukikuro which also did Rockman 2 Claw. Everything is completely modified including custom music. This beats Rockman RX and the famous Rockman 2000. Rockman Alter Force couldn't catch up. Tsukikuro must've used the disassembly to edit everything in the game and even programmed AI by freeing up space by removing the score. This is not a TAS speedrun, or even a normal walkthrough. This is my demo play. If you want the download of this game, I cannot provide a link as of yet until further notice. I may want to archive the game to Rom Hacking dot net with Tsukikuro's permission and I mean it. Some Japanese authors don't want their work to be reposted without permission and Touhoumon is an example. NSF will be provided within a week and will be posted without permission from the author. Music will not be used in my Rockman 1 project and never will. Last view: 201 days Well. Now that Reloaded is finished, I have to start something new. 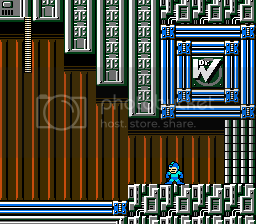 I've planned to make a Mega Man 2 hack (Mega Man Reloaded 2) after Mega Man, but somehow Dr Wily's Revenge got in my way. Yes, you heard me right. 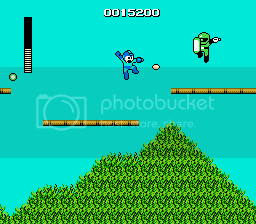 The next hack I'll make will be a hack of Mega Man - Dr Wily's Revenge. I've already started the project, but I'm only testing out what I can do with a GameBoy game. Currenty, I'm working on Cut Man's stage. I'm importing the graphics by hand, because Tile Layer Pro screws up the imported graphics after it's imported. But this is an another story. 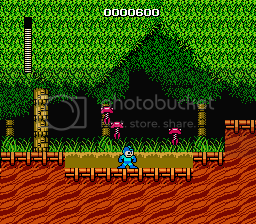 Here is a small demo of Mega Man Reloaded GB with Cut Man's stage altered. It's only a test stage, so it's not the final version of the level. Other levels aren't touched yet. The demo has been removed. Last view: 87 days Just something I'm working on for fun. A side project being done in Game Maker. It has nothing to do with The Hylian Elf Rises. Last view: 576 days http://www.youtube.com/watch?v=uDtwcZVI30Y&feature=youtu.be - Tales of Phantasia voice replacement test. Hienrenkyaku being replaced by three other test voices just to show case that it's possible. MySQL - queries: 126, rows: 167/0, time: 0.155 seconds.